Stop by and say hi at the Leesburg Flower and Garden Festival April 21st and 22nd. This is a great family event that we always enjoy participating in! 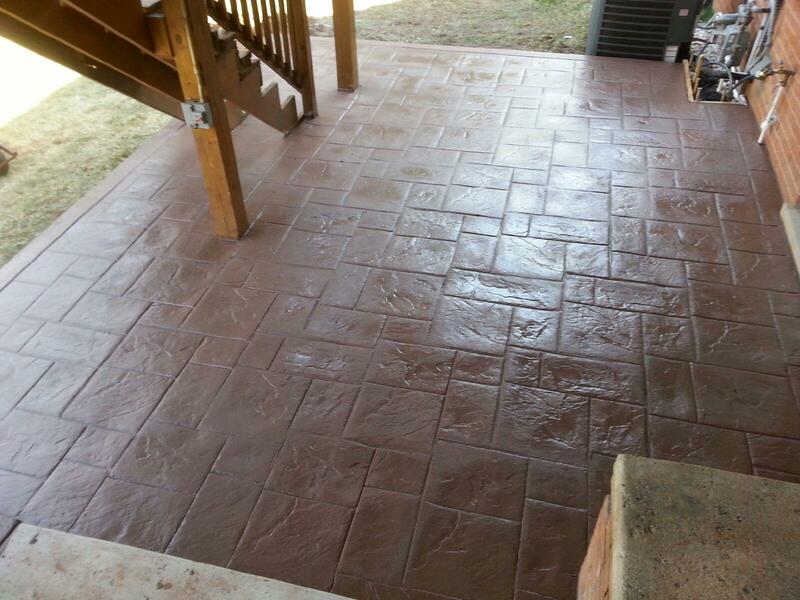 Take this opportunity to talk to our team about ideas you have and options for any of your decorative concrete needs. Food, music and activities for all will be happening all weekend long. Take a look at what’s happening here. Come Visit us! Talk about your project ideas, see some samples and meet some of our team at the Spring Home and Garden Show. This annual event is held by The Q102, Kiss FM, and 99.3 The Fox. The FREE fun filled event will feature exhibitors from throughout the Shenandoah Valley displaying and demonstrating the newest and latest in home improvement/repairs, remodeling, gardening, landscaping, lawn care, home insulation & energy conservation, home security, home furnishings and so much more. The Home Show is sponsored by Handyman Connection. Come check out the Kidgits Kids Zone sponsored by Kidwell Fence! There will be craft activities, a BounceHouse, and a variety of interactive, fun games, and explore the Shenandoah Valley Discovery Museum table. Plus, the little ones will have a blast at Mascot Mania. Area Mascots will be stopping by the Kids Zone from Noon until 2pm. Be sure to visit the Silent Auction located in the Belk Wing benefiting Children’s Hospital Network. In preparation for this upcoming year, the Blackwater team is staying on top of current trends in decorative concrete. Along with our attendance at the 2017 World of Concrete Show, we have also added new products to the Blackwater line up! 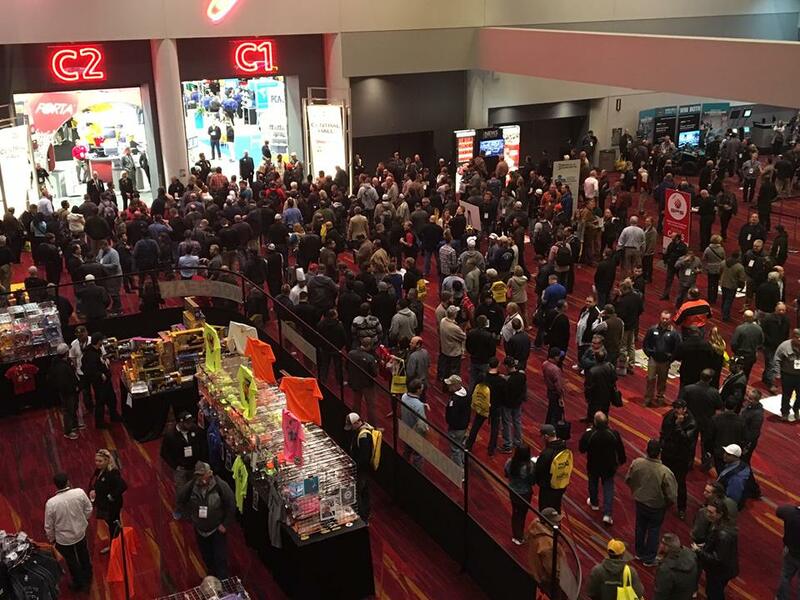 If you aren’t familiar with The World of Concrete Show, it’s the industry’s only annual international event dedicated to the commercial concrete and masonry construction industries. During the event, the WOC showcases leading industry suppliers featuring innovative products, construction machinery, construction equipment, safety training courses and new technologies. We are very excited to bring fresh ideas back to our clients and will be featuring many new products such as step liners, antique wood planks, other stamps, overlays (SureBroom) and epoxies. Stay tuned! 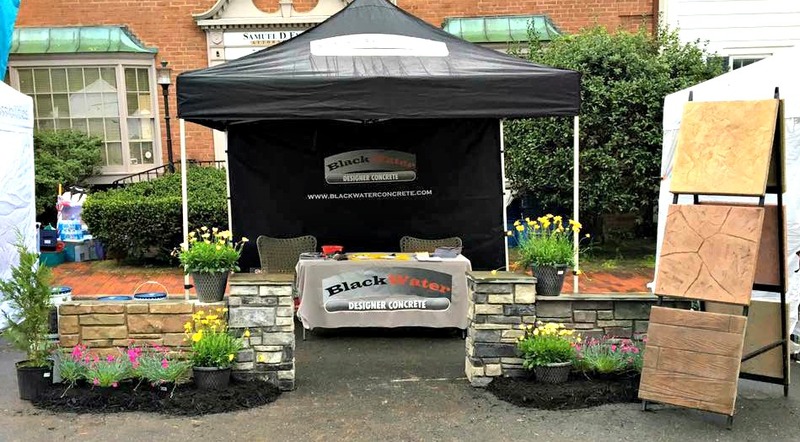 We are looking forward to attending the annual Flower & Garden Show in Leesburg again this year. It is being held on Saturday April 22nd 10am – 6pm and Sunday April 23rd 10am – 5pm and takes place rain or shine. The Flower and Garden Festival has become an annual rite of spring for Loudoun County and it’s not hard to see why. The festival boasts 150 vendors which include landscapers, gardening suppliers, plant sellers, outdoor living furniture, and more. There is also live music entertainment, activities for the kids, and delicious food. The festival is produced by the Town of Leesburg, with efforts from many different departments, including Parks and Recreation, Public Works, Leesburg Police, and Leesburg Utilities. We’re very excited to celebrate the festival’s 27th anniversary and hope to see you all there! 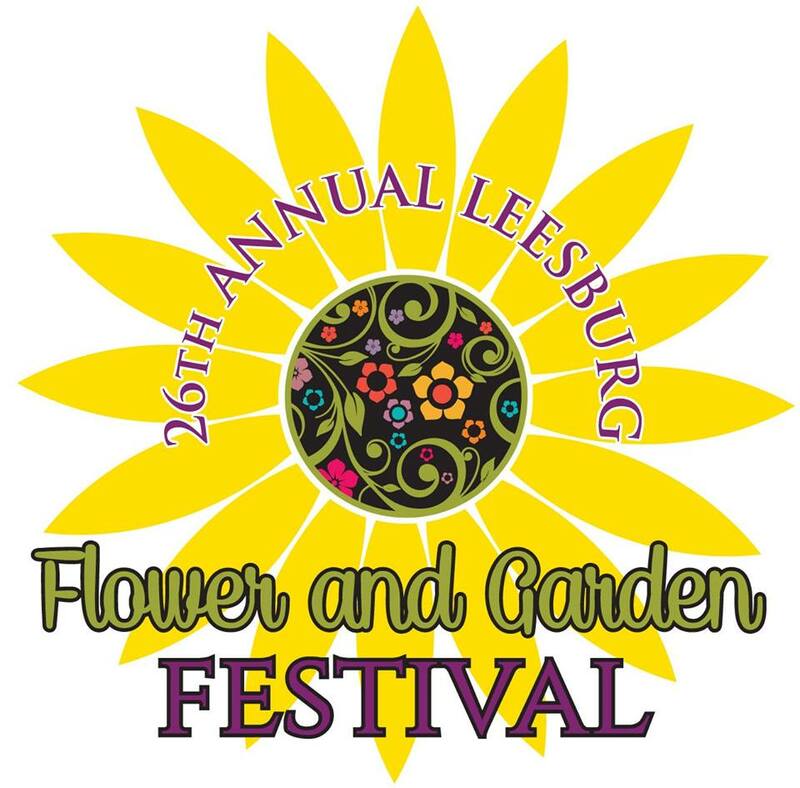 Learn more about the Leesburg Flower and Garden Festival. We’re a month away from this year’s Leesburg Flower and Garden Festival, and we can’t wait to see you all there! Gorgeous gardens and lush landscapes fill historic downtown Leesburg, and did we mention that we’ll be one of the vendors?! Gates are open on Saturday, April 16 from 10a-6p and on Sunday, April 17 from 10a-5p in Leesburg’s historical downtown, so bring the whole family to enjoy! I was honored to present at Daniel Morgan Middle School for career day. 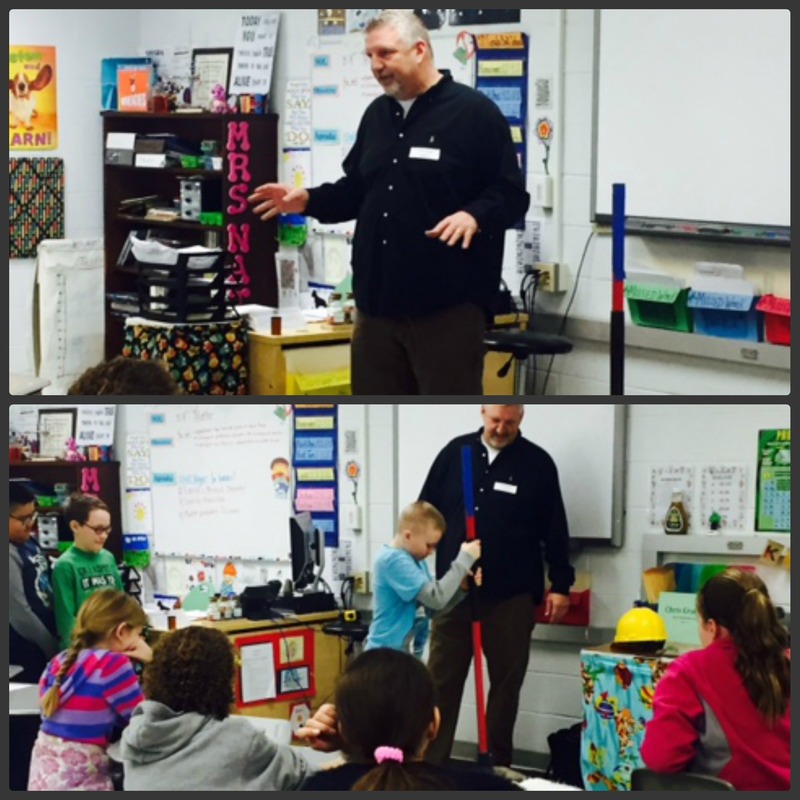 I was able to talk about owning a small business and the vast amount of career opportunities in the construction field. The students were awesome- and they really liked hitting the stamp with the tamper! Some may even be the future generation of the concrete industry! This warmer weather is lifting our spirits. Now’s the time start planning that great patio and spruce up the outside of your home. We are working on some great projects and look forward to some fun events coming up. 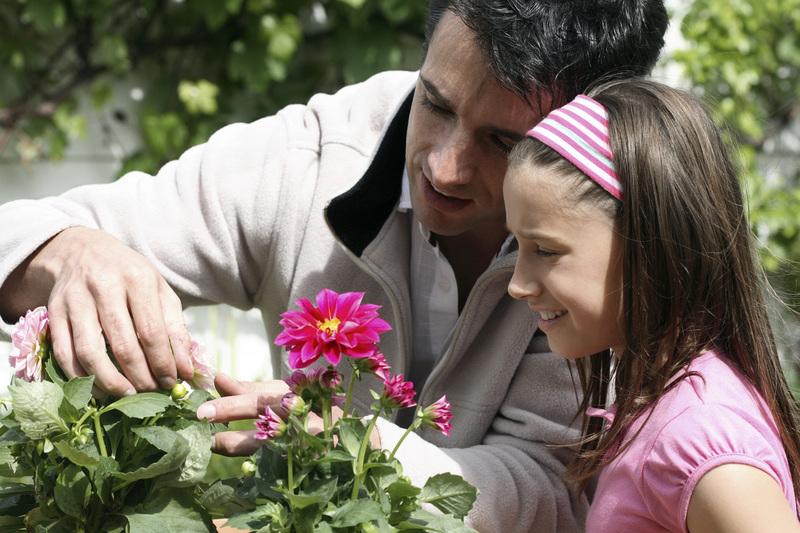 It’s is not just about flowers—or gardening! The Flower and Garden Festival has many different parts and pieces and that’s what makes it great for the whole family! Enjoy the food, listen to the great bands, and visit exhibitors like us who can help you with all of your outdoor living needs. 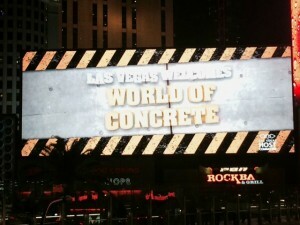 We are excited to display new products and ideas in the concrete industry. 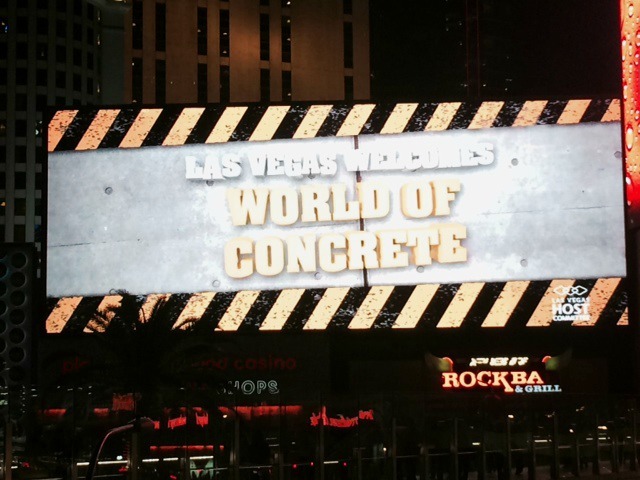 The WORLD OF CONCRETE 2015 was a huge hit! We are bringing back so many great products with us. We are really excited about the new tool we got to train on; an exposed aggregate overlay system, great for commercial applications and pool decks. We also found a great new company that specialize in concrete sealers, Con-crete Werks; we’ll be sharing more on their products in the near future. Attending this great event gives us the education, tools and leading advantage needed every year to stay on top of the newest trends in decorative concrete industries. Looking forward for a busy 2015! !